Fair Warning: You might want to wear gloves! This is what it did to my fingers, and it took 3 days for the color to be completely gone again (nail polish remover was my best friend)! But hey, the eggs turned out just beautiful! Love this little craft! You need a white envelope, white, pink and black craft paper, a black marker, scissors and glue. Cut and then glue pieces to the envelope. Make sure the nose goes on top of the outer flap and the teeth are aligned with the top part of the inner side under the outer flap, so when you open the envelope, the teeth emerge, like the bunny is smiling. No envelope should ever go without a card. I like this one in particular because even little ones can make it themselves, as long as they can hold scissors. 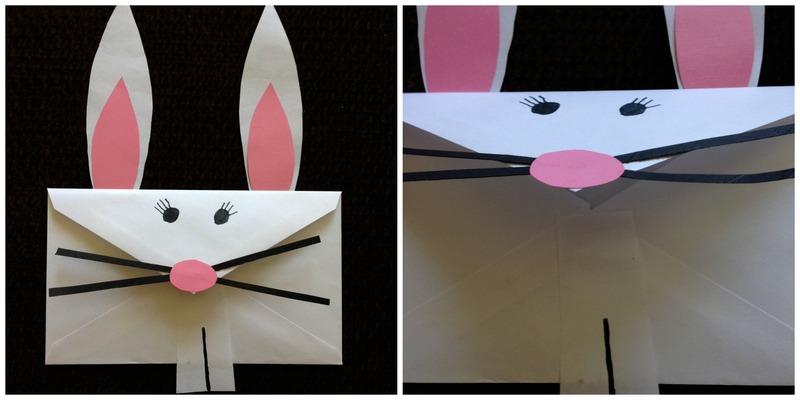 You need a sturdy piece of card stock for the card itself – make sure to make it fit the envelope you chose for the bunny. Then you need colorful or patterned paper for the eggs, pink paper for the bunnies’ noses and a black marker to draw in the bunnies’ faces. Tada! Masterpiece! This is my personal favorite, but also the most time consuming. You need a large toilet paper role for bunny dad, a medium toilet paper roll for bunny mom, and another 2 roles cut apart for the kids. Alternatively, use a paper towel roll and cut accordingly. Paint the rolls in which ever desired color and let dry. If you want to be really thorough, you can also paint the inside of the roll, so you don’t see the natural brown color when looking from above. While the color is drying, cut out ears and accessories from colorful card stock. I used little fur balls for noses, which you can buy in any craft store or section. Tacky Glue will attach the accessories and a marker will draw in the faces. Remember to stick the ears to the front inside of the roll! Your kids will love this one! They can actually be played with! It’s a cute craft, especially for the littlest ones. You need a paper plate, any sort of markers or colors, yellow and orange card stock and a marker. Color the paper plate, and cut a zig-zag line right through it. Glue the chick to the backside of the lower half and attach the top of the paper plate loosely with a staple to the bottom half in either corner. Ideally, you should be able to move the top part of the paper plate up or down. It’s a craft AND a toy! 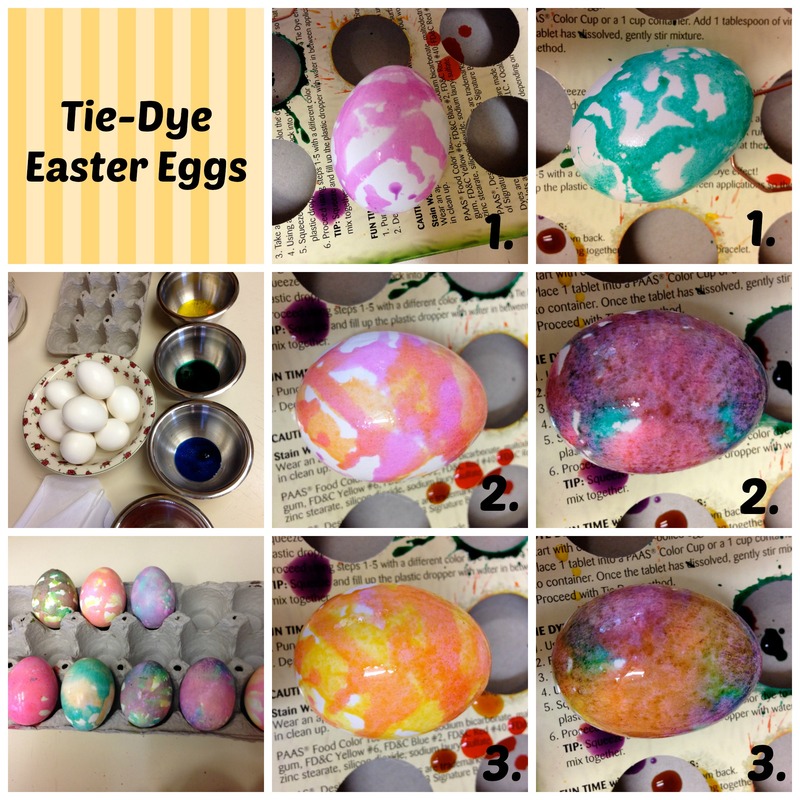 Happy Easter crafting everyone! Let me know which one is YOUR personal favorite! ← Why Do Bad Things Happen To Good People? And Other Fairly Horrible Tales.